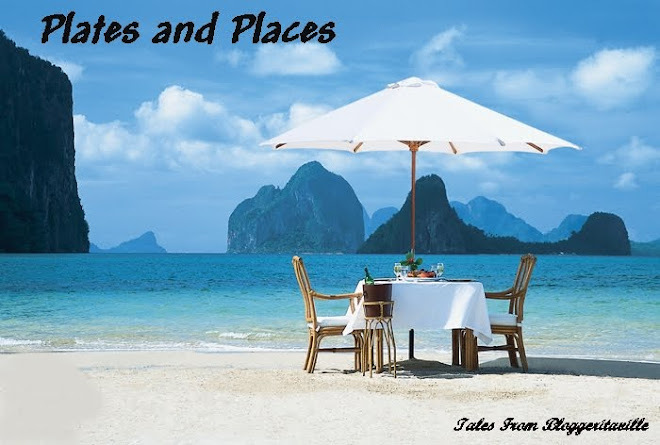 Plates & Places: Cinco de Mayo! Be sure to check out my favorite family meals, perfect to kick off your Cinco de Mayo celebration! Leigh's Famous Fajitas and Super Salsa -So good you'll slap your momma. But please don't. The salsa IS a secret weapon. You can use it for barters. Zinnia's Authentic Spanish rice - The real deal from my compadre' Zinnia. I expect the Federalise to show up at my house anytime to surrender the recipe. Taco Soup-Perfect to serve as an appetizer...or as a meal. But why skimp when you have the fajita recipe? This is a party! Chiles Rellenos-Make your man happy with this dish. Veggie-Stuffed Quesadillas-Even kids cannot say no to vegetables served this way. *Your days are numbered...Enter the giveaway while there is still time. Scroll down to enter. Oh my gosh- I LOVE that pic!! And those copper molds!! Happy Cinco!